Theodore Hicks is the franchise owner of a private wealth advisory practice of Ameriprise Financial. He is a Certified Financial Planner practitioner, a Certified Kingdom Advisor and a Chartered Market Technician. 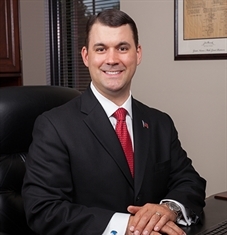 He has owned his wealth management practice since 1998 and has two offices, one in Cary, NC and the other in Southern Pines, NC. Ted served two, 2-year terms as Chairman of the Durham County Republican Party. He previously served 6 years on the Board of Directors for Club Horizon, a non-profit that serves adults with severe and persistent mental illness. Ted graduated from NC State in 1998 and has a passion for flying and became a private pilot in 2014.